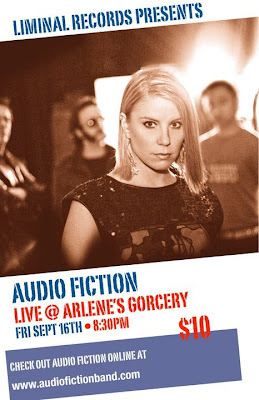 Audio Fiction are back! New York, head on down to Arlene's Grocery on the LES, Friday, September 16 and catch Audio Fiction's first show gig of 2011. They go on at 8:30PM and it'll cost you $10. You know I dig this band so, go to the show, rock out with them and show 'em much love. Video of the Day: Joss Stone - "Karma"
Video of the Day: Clubfeet - "Broken Hearted"
Out Now: Cherry La Voix - "Bad Girl"
The Duke Spirit Release Video For "Surrender"
Video of the Day: Moby - "Lie Down In Darkness"
Song of the Day: Nik West - "Forbidden Fruit"
Video of the Day: Hank & Cupcakes - "HIT"